We’re kicking off Halloween South Bay style. Check out these spooky events you can attend with family or friends. Kick off the Halloween season with your family! Adults are encouraged to get into the spirit and dress up. You can even participate in the costume parade! For the little ones, they can get crafty and decorate their own pumpkin, get their faces painted, and watch a puppet show. There is nothing like a good family competition. Come in your best costume for a chance to win the coveted first prize. Afterwards, join the dance party. Guaranteed fun for all ages! This is the party to be at if you love good music. 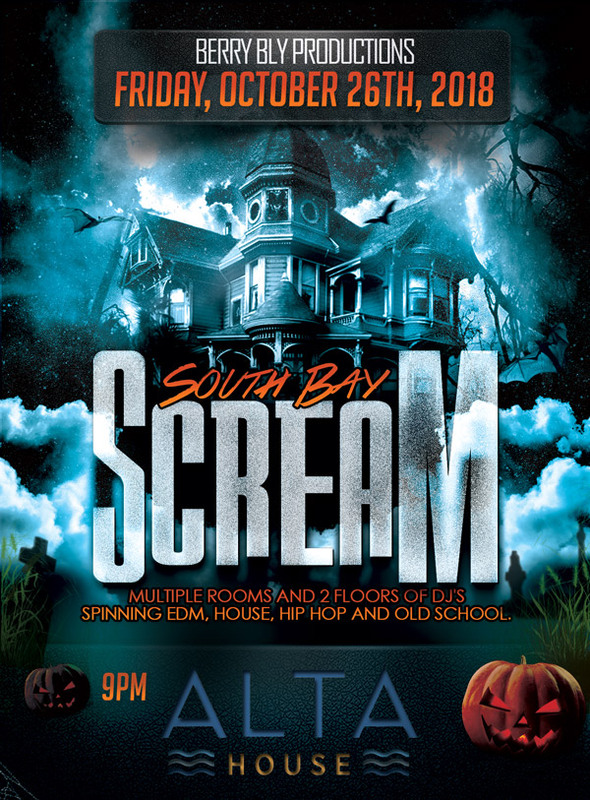 South Bay Scream will host 2 DJs playing anything from EDM, House, Hip Hop, and Old School beats. Come dressed up and ready to party. For our party lovers out there that want that spooky haunted hotel experience. Haunted hotel features 3 DJs and multi-level dance floors. Perfect for those that want to dress up and dance the night away.